Lotus Cruises have created an unforgettable travel experience that allows their guests to touch, taste and feel the spirit of Southeast Asia. Aboard their vessels, inspired by the beautiful detailing of 1930s French colonial design, their guests explore the past as they navigate through magnificent remnants of former civilisations as well as spending time with locals learning about the authentic traditions. Luxurious suites, sumptuous feasts, amazing entertainment and deluxe amenities make their renowned boutique cruises an exotic adventure complete with luxurious comfort. Lotus Cruises creates authentic handcrafted voyages that are truly all-inclusive. 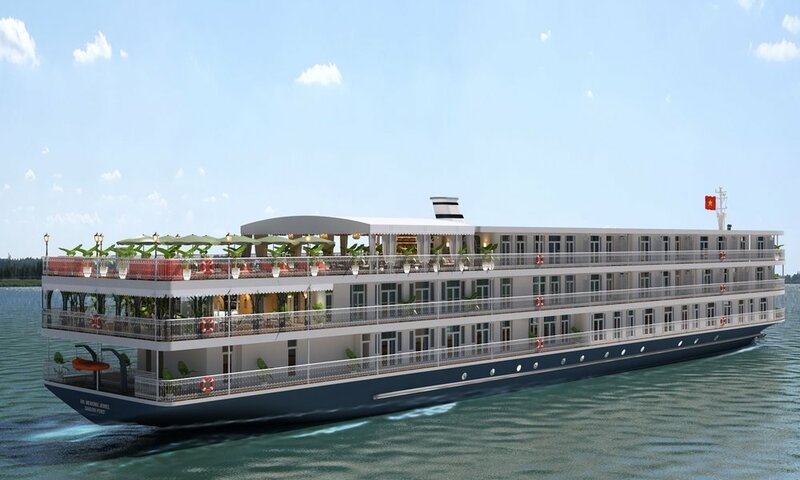 In 2020 Lotus Cruises will launch their brand new ship Mekong Jewel. This will add a new level of luxury to the experience of cruising the Mekong River.